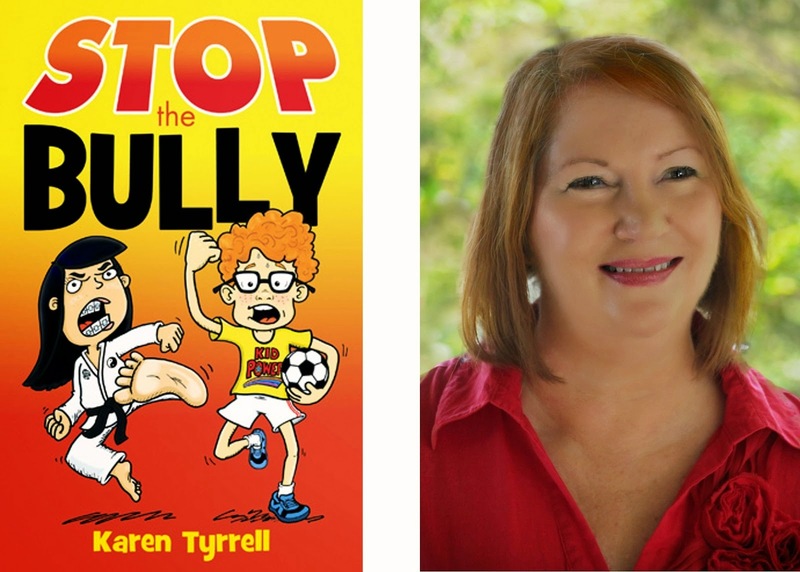 Welcome to STOP the Bully Blog Tour & Book Give Away with children's author Karen Tyrrell. Karen Tyrrell is a passionate Australian award winning mental health author, teacher, motivational speaker and workshop presenter. Seen on TV Today Tonight, in the Courier Mail, heard on ABC and 4BC radio. Thank you, Karen, for visiting my blog today. I'm thrilled to have you here. Before we get into Karen's interview, let's talk book giveaways! Empower KIDs with assertive anti-bullying strategies! The MORE comments you leave the MORE chances you have to WIN. And now to Karen's interview. Thanks, Karen. 1. Karen, you talk about how bullying triggered your mental illness. How are you able to write about bullying without creating stress in yourself? Writing is so cathartic for me. Especially when I develop strategies to help adults and children cope with bullying or build their resilience. When I write down a positive plan, my pressure valve releases, creating great satisfaction within me. 2. Who is STOP the Bully for? Just for Bullied children? Stop the Bully is for all children from six to twelve, empowering them with strategies to cope with bullying. STOP the Bully is not just for children who are being bullied but for everyone, teaching prevention techniques. My mission is to change the culture in schools and the community. The strategies will help children, parents, teachers and counselors. Parents and teachers can read STOP the Bully to children following up with discussions and completing activities from my website. Independent readers can read STOP the Bully reflecting on both the victim and the bully to develop empathy and understanding. 3. Bullying is a very serious topic. How will you entice children to read your book? The cover entices children to read, especially designed to captivate them. 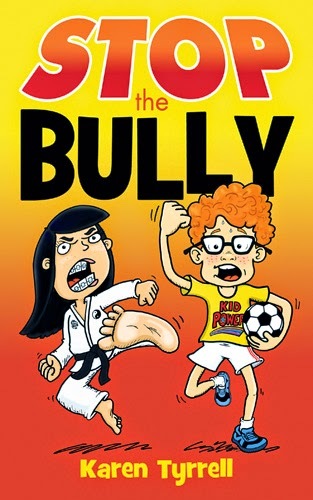 All kids who have read STOP the Bully so far have been caught up in the action adventure book. I've added physical humor to the story to counterbalance the drama and intrigue, to create empathy. REVIEW: ‘My kids couldn't put this book down! Michael Hardie – Children’s mental health promotion specialist. 4. Your last book was Baily Beats the Blah a picture book. Why did you swap age levels to a junior book? 5. How will you be spreading the positive message of STOP the Bully? As widely as possible. 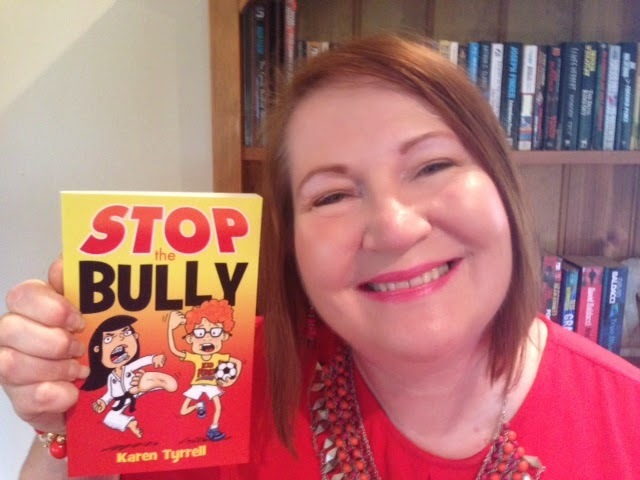 I’m going out into schools, libraries and festivals to present STOP the Bully to children. Radio and newspapers are interviewing me on STOP the Bully. My junior novel is available on Amazon and at selected book shops. STOP the Bully is endorsed by Kids Helpline and aligned with Kids Matter, Australian curriculum. Stop the Bully Blog Tour - Now On! STOP the Bully is a riveting junior novel to empower girls and boys with assertive solutions. The mystery reveals the bullying dilemma from all perspectives.